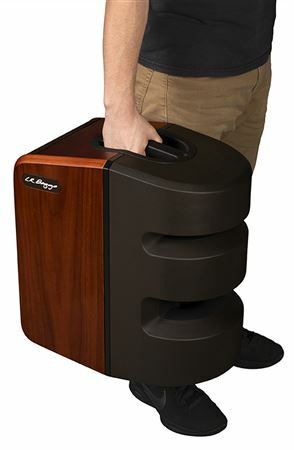 Exclusive 12, 8, 5 or 3 Easy Payments on LR Baggs Synapse 2 Channel Personal PA System 500 Watts only at AMS! Free 2 Day Shipping and Free Extended Warranty. Call our Gear Experts at 800-319-9043 for expert advice! Producing a dynamically rich natural sound, the Synapse personal PA system is designed for the singer songwriter and solo acoustic performer. 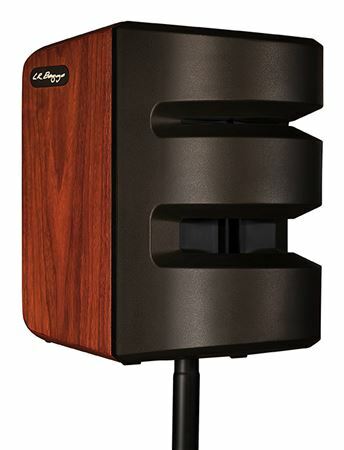 LR Baggs has spent nearly four years of advanced engineering to develop the visually appealing Synapse personal PA system which fills the room with your sound. 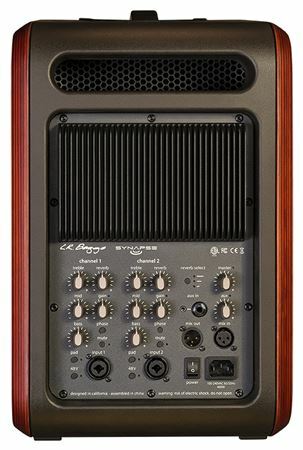 In addition, the Synapse features a two channel mixer with controls for optimum control. After decades of consistently raising the bar in acoustic amplification with the pickups and electronics LR Baggs has become known for, LR Baggs is naturally compelled to add another level of quality to your sound by completing the chain from input to output. Introducing The Synapse – Personal PA System! This is a very well made PA. It is made quite robust. The sound is clean and the reverb is really nice sounding with it's own uniqueness. I really love this thing. It produces a nice clear sound with plenty of volume in order fill a pretty good size area. This will work well inside and outside for those mid size backyard BBQ parties. I can't wait!